In New York 1901, players try to score the most points by constructing, demolishing, and rebuilding skyscrapers on the famous streets of New York City. On your turn, you will have a simple choice: would you rather acquire new land to build on, or knock down your existing buildings to make room for bigger and better ones? 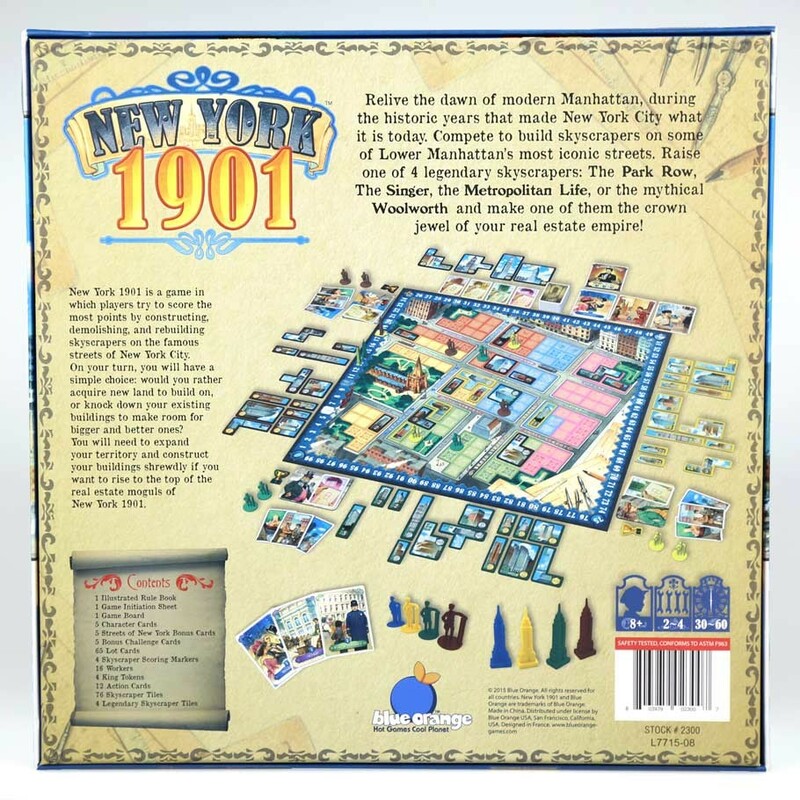 You will need to expand your territory and construct your buildings shrewdly if you want to rise to the top of the real estate moguls of New York 1901. 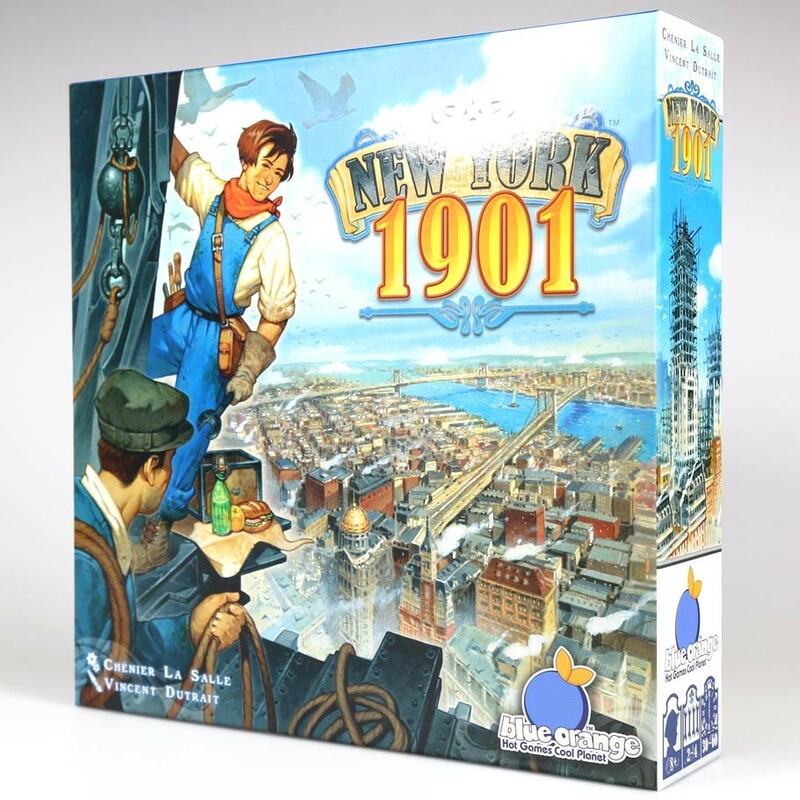 New York 1901 is a game involving territory control and city building during 1901.